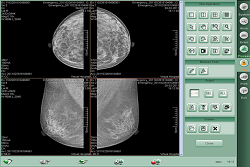 DMOC is a Windows-based digital mammography acquisition software workstation, which delivers the good image quality with lower dose. 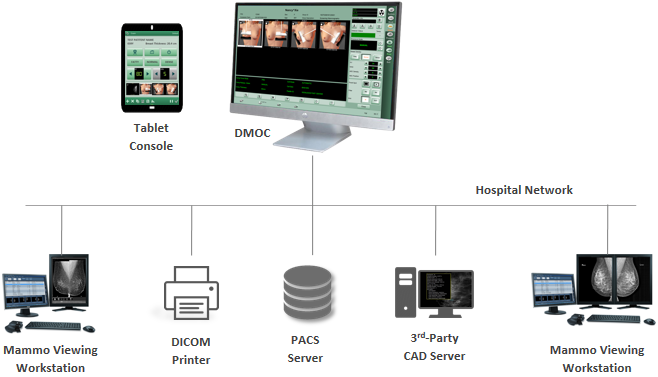 It is fully integrated with most of imaging components such as X-ray generators, flat panel detectors (FPD),collimators, X-ray gantry etc. · Image post-processing technology "Symphony"
· Air detection and suppression for windowing & inversion.